I'm Theo, a super genius and would be mad scientist. I am starting my first year in the super sciences program at Nova Academy for Advanced Super Human Studies. Their program is the best in the nation and the school is one of the few that allows both heroes and villains to attend. That's important because I really do not know which I want to become after I graduate. It really is a tough choice in the world I live. There are some surprises in my first year. I meet a girl at college, Carly, and she becomes both my new girlfriend and my partner. She is a powerful telepath who turns my understanding of supers upside down when she tells me the best kept secret in the world. There is also an insane supervillain who kidnaps and enslaves the science students as part of his diabolical plot. I'm not overly excited about rescuing my fellow science students, but someone has to do it and no one else seems to even know the kids are gone. To have any chance of success, I will need to make some major upgrades to my armor and recruit a team of supers from the Academy. About BookBub - They are the largest and most reputable site (I know of) for specials and advertising of books of all genres. Even if you do not follow me, you should consider joining book bub if you are an avid reader. If you are interested in purchasing the print version of Nova Academy: Bases & Lairs, it should be live in the next 24 hours. I feel good saying you will love (like?) Bases & Lairs even more than Heroes & Villains. This is my third book and my story telling and writing skills have improved immensely. The rush I'm felling right now feels really, really good. Thanks to anyone who has been waiting for your patience. I know it was too long in coming. I am starting on Book 3 straight away as I will not have that much of a delay between books again (I've had a lot going on in the last year). I've just ordered a sample print book for Nova Academy: Bases & Lairs. Assuming it is ready for publishing (I'm pretty sure it's ready), Book 2 in the Nova Academy Series will be out in about a week (or less). Earth Interstellar was given a new review recently (see below) that I want to share. I can't say how important reviews are for a self-published author. They are the life blood for getting the word out about our books and I appreciate everyone one readers can provide. The setting is amazing; humans still feel special even as the pawns in interstellar politics (but not too special and overcoming tens of thousands of years of technology and experience through grit and willpower like other books do). Aliens also feel unique and special, although they get less screen time (I would happily read another book in this setting focused on the non-humans, with the Rool in particular having excellent potential for offshoot works). Characters are very believable and well done, and combat sequences are as well, which is typically a weak-point in so many novels, with even the best of authors sometimes falling short (and as an avid fan of Warhammer 40k literature, among others, I like to think I have a high bar set for combat sequences). In particular, the right balance between too much and too little detail was struck. This is also true for technology; it’s not explained so much that you can start to see science nonsense, but it is described in detail to give a clear (and very interesting) picture, and a lot of thought was definitely put into it. All in all, this has very quickly made its way to near the top of my sequels list, if not the top, and I can’t say I’ve ever been so eager for more despite having read hundreds of books and novels. This is the easiest 5/5 I’ve ever given a book, and I’d give a 6/5 if I could. There was also one typo I noticed, though, which if I recall correctly was of the word “soul(s)” mistyped as “sould” midway through the book. Disclaimer: This was read via amazon kindle unlimited at no direct cost to me, although I’d have happily bought it in hindsight, and quite honestly it’s a steal at its normal selling price.Earth Interstellar was recently given a new review on Amazon.com that I wanted to share. I am very grateful for any reviews for my books - they are the life blood for getting the word out for a self-published author. Thank you to Patrick G for his great review. Hi all - a little reveal and a little update. 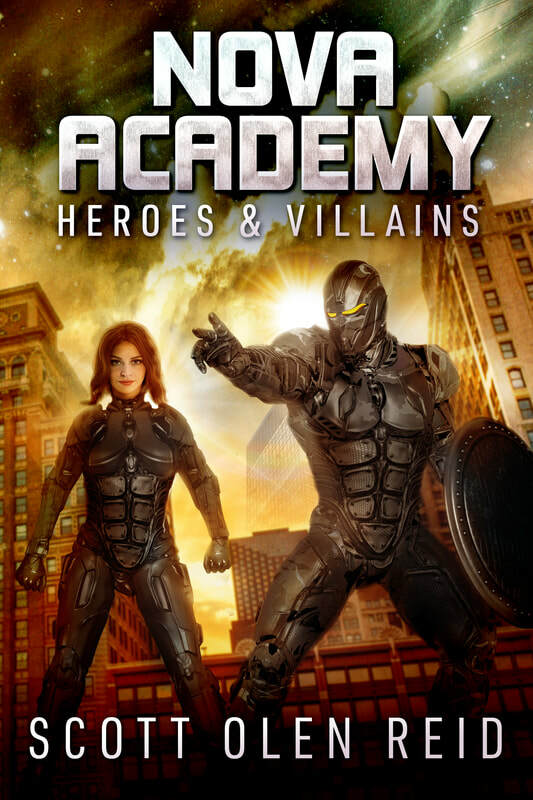 Here is the new cover for the Sequel to Nova Academy, Heroes & Villains. The clue to Book 2 is in the title. It is shaping up to take NA to the next level as Theo and Carly - and don't forget Maria, start another year at the Academy. Now for the update - NA2 is going to be delayed a few months. I've had a lot of personal things going on that has set me back as it has been very hard to concentrate on writing. I'm trying to get back to it and will get it out as soon as possible! 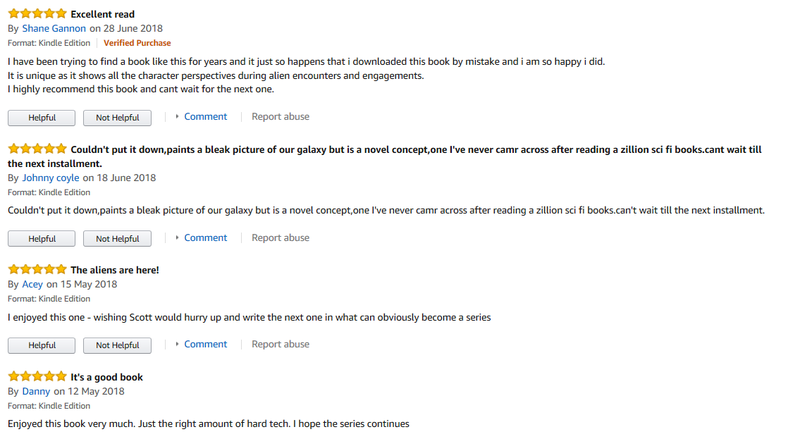 Here are the last four reviews on Amazon.co.uk for Earth Interstellar: Proxy War and I could not be more grateful. Nova Academy: Heroes & Villains has a new cover! Due to issues beyond my control, I was not able to secure the services of the creator of the original cover for Book 2. So, in the interest of maintaining series identity, I engaged the services of Dan Van Oss at www.CoverMint.design. Dan did a fantastic job on the new cover and is currently doing the final work on Book 2, Nova Academy: Bases & Lairs. Book 2 will be out by mid-August (it's running a little late, but I'm getting there).